Blue Post Boiling Crabs & Shrimps does it again! 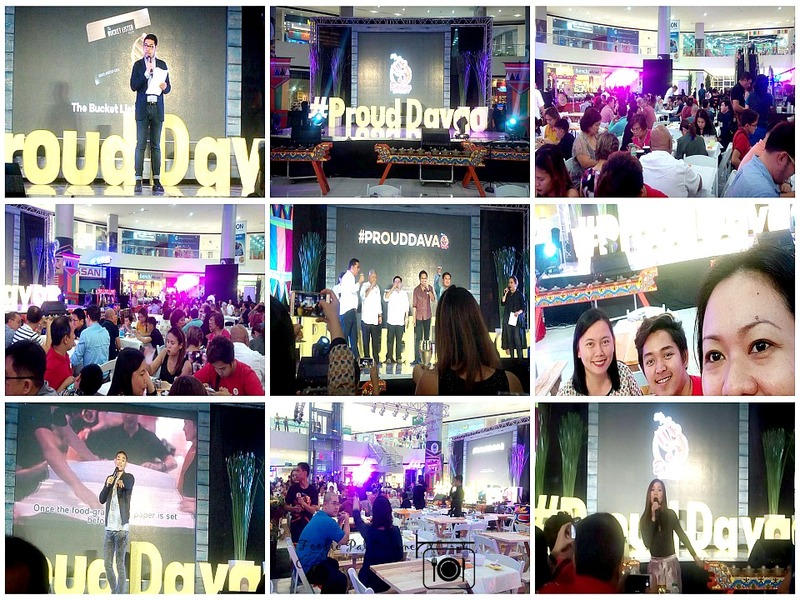 It started as a small branch along JP Laurel Avenue just beside Davao Water District, SM Lanang Premier and now continue to grow both inside Davao as they open their 3rd branch at SM City Ecoland Davao and out to the Metro, expanding its soon-to-open branches namely in SM Mall of Asia ( just open last January 23, 2017), SM Megamall, O-Square Greenhills Shopping Center and Seascape Manila. This is after our event at Acropolis Disco when we have our thanksgiving party. 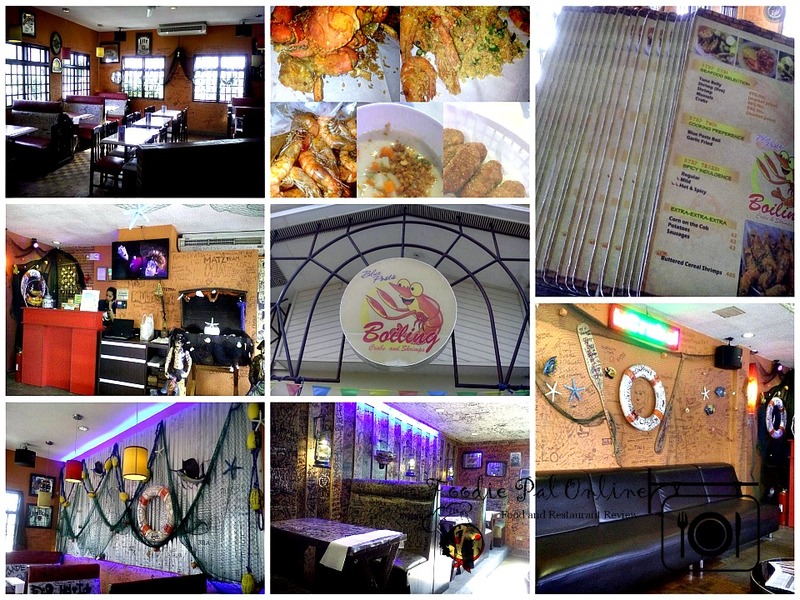 Originally, BPBCS envisioned to be a bar by a group of college friends and not just your typical restaurant or a go-to seafood restaurant in Davao. 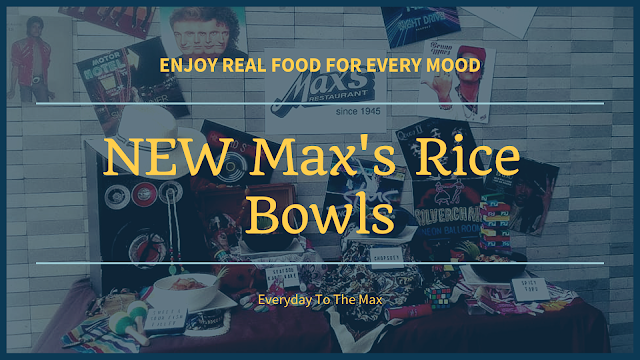 It was when couple and owner Anthony and Jennifer Ang were travelling the west coast of USA and found themselves in the famous Fisherman's Wharf in San Francisco, California that BPBCS had to give a new and improve form of services to their customers. 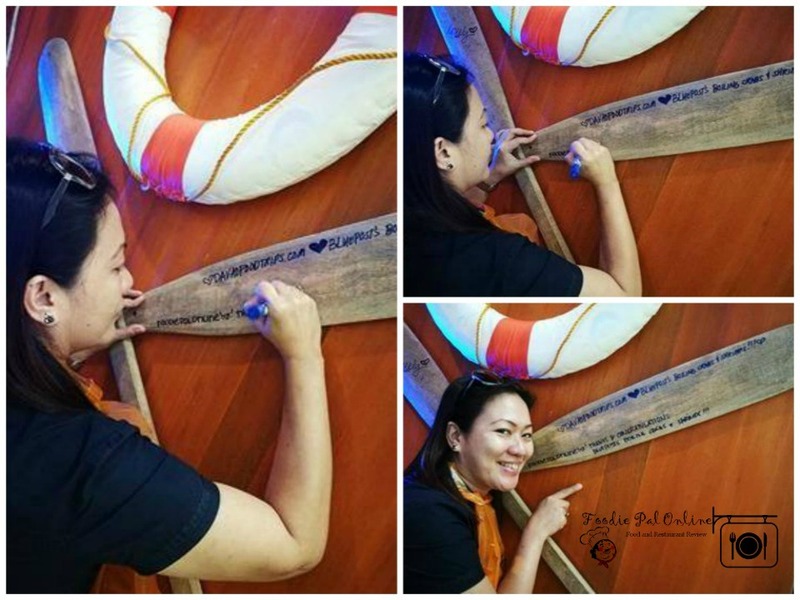 Having an idea that a growing market for casual-dining seafood restaurants is so "click" in a sense of giving out services and to make their customers having that feel-at-home ambiance that they can be messy with a finger-licking kind of dining just like at home doing "kamay-kainan". 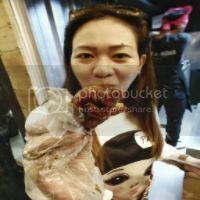 That's why they encourage diners to use their hands while dining to get that fulfilling fun and messy eating adventure. 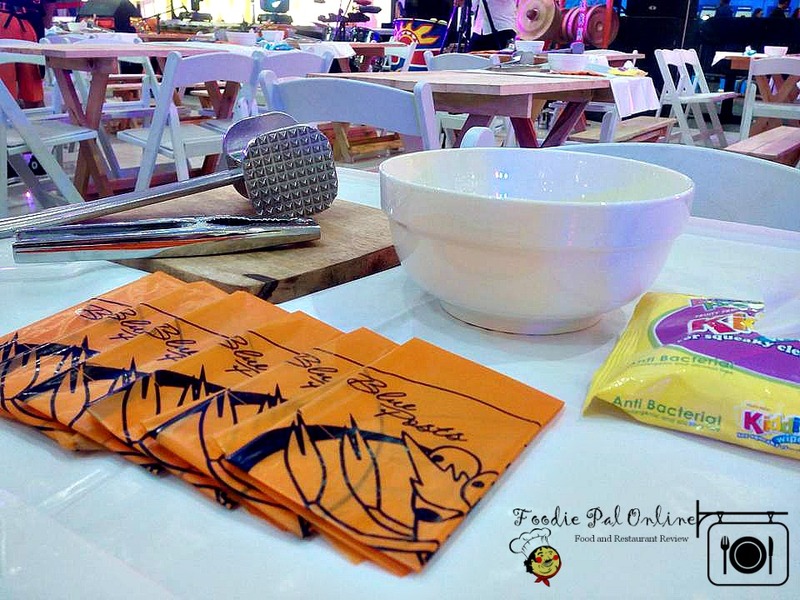 Don't worry a food-grade wax paper is set before you and a Blue Posts bib - the messier you got with every bite, the better your dining experience becomes. And Messy-eating was born plus after you dine, you can write on the walls of the restaurant. 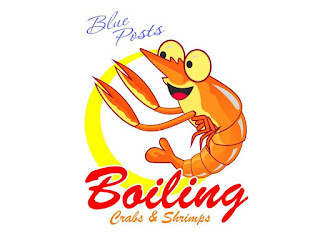 Diners can choose from a wide roster of seafood placed in a boiling bag mixed with their signature Blue Posts Cajun Special Sauce with adjustable heat factors (regular, mild, or spicy hot), all of these are guaranteed fresh - exactly from SEA TO TABLE! 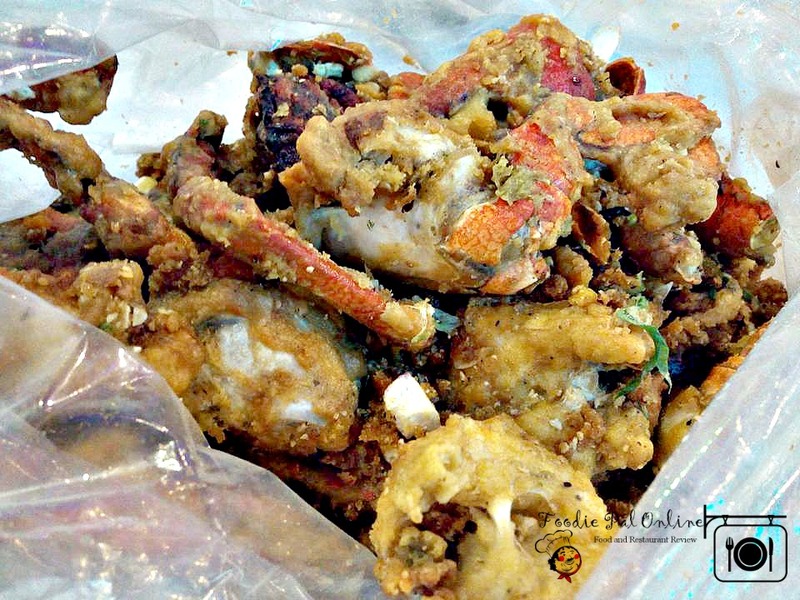 CRABS IN SALTED EGG - a fresh catch coated in a very special Blue Posts batter and garlic fried to perfection added with cubes of salted egg, offers a distinct notes between the salted egg and nutty garlic without changing the taste of the crabs. 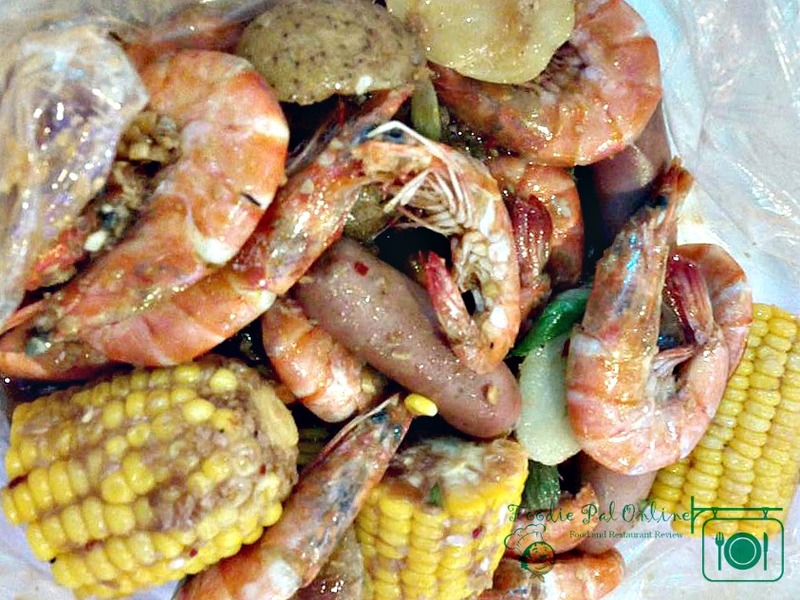 Boil Shrimps - served with sausages, corn cobs and potatoes. This is my favorite! 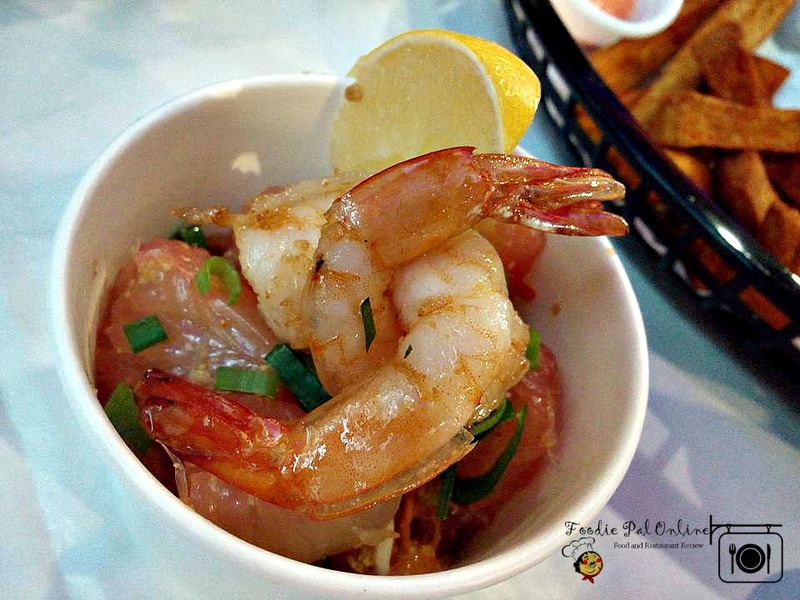 Another winner from their selection, what I like about this dish is, very rich in spicy sauce and the garlic bits adding flavors without compromising the fresh and clean notes of the shrimps. For me it's PERFECT to my palette! 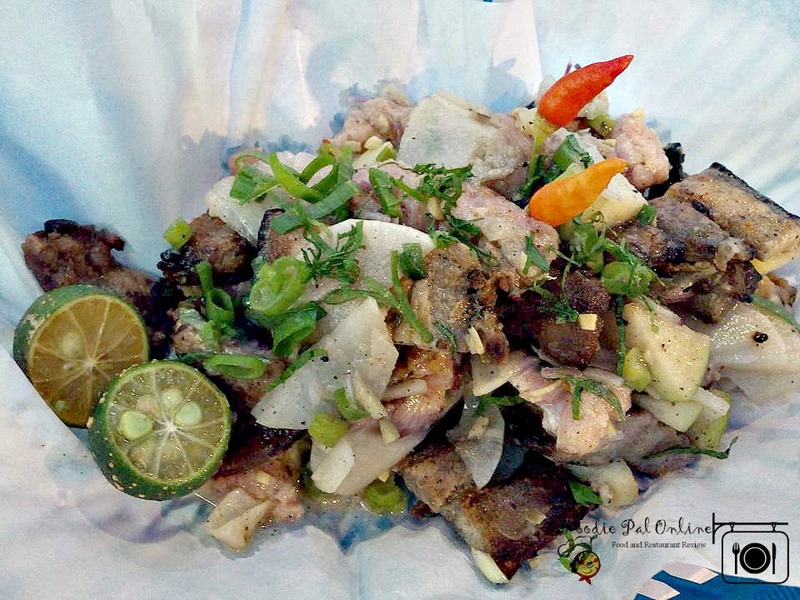 Alongside these freshly caught dishes are the #ProudlyDavao dishes such as Native Chicken, Sinuglaw with Green Apples and Pomelo Salad. 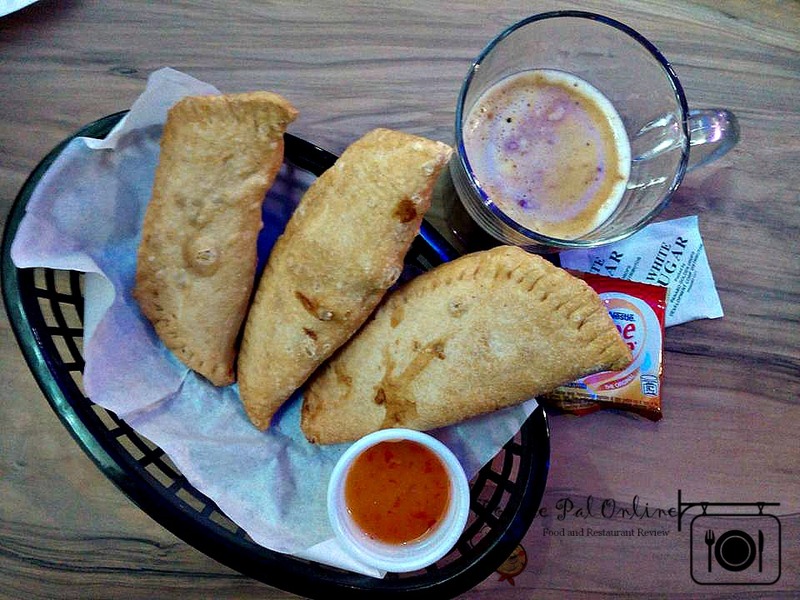 CRAB TURNOVERS - a crab meat filled turnover pie crust crab appetizer. SPICY GUMBO SOUP - Blue Posts signature Gumbo. 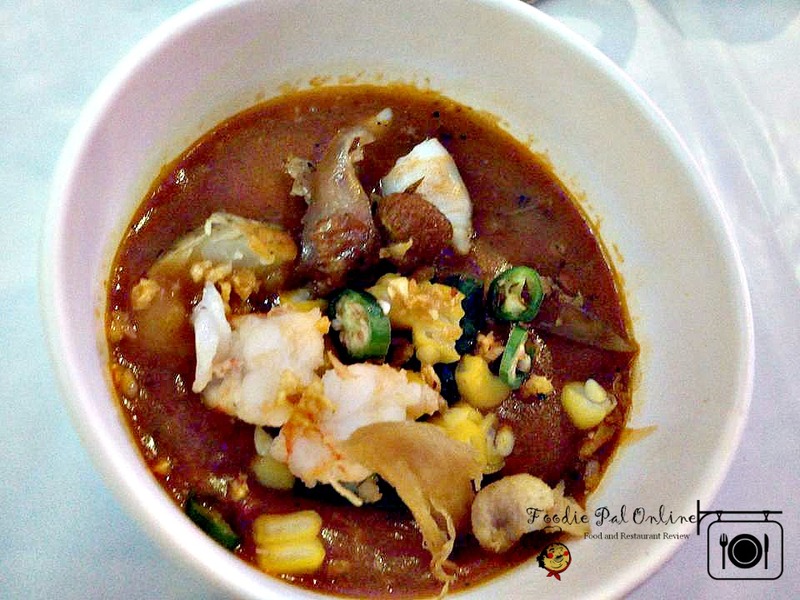 a thick and hearty Cajun-inspired soup loaded with fresh seafoods and vegetables with layer of soothing spicy heat from rich blend of spices. 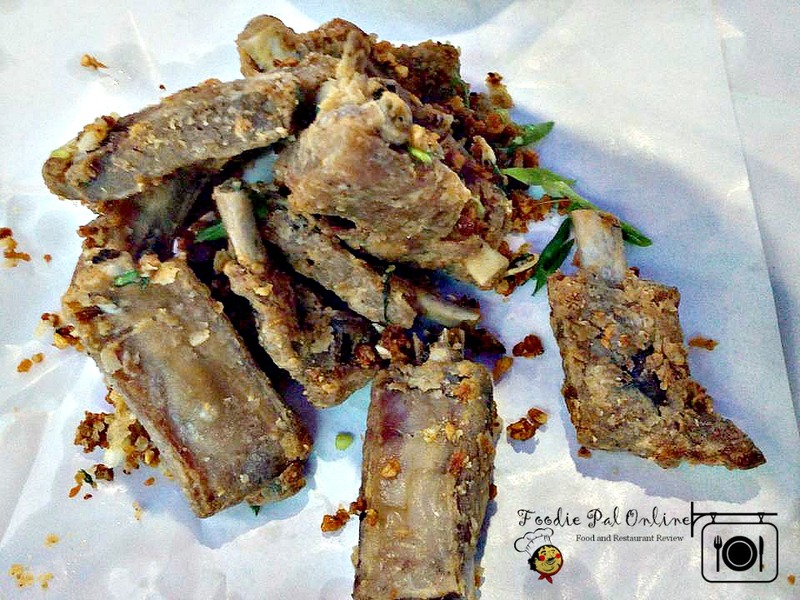 GARLIC PORK RIBLETS - tender pork ribs marinated in native vinegar, salt, fresh-ground pepper and sauteed in fresh butter with lots of a garlic. One of my fave! Superb taste! 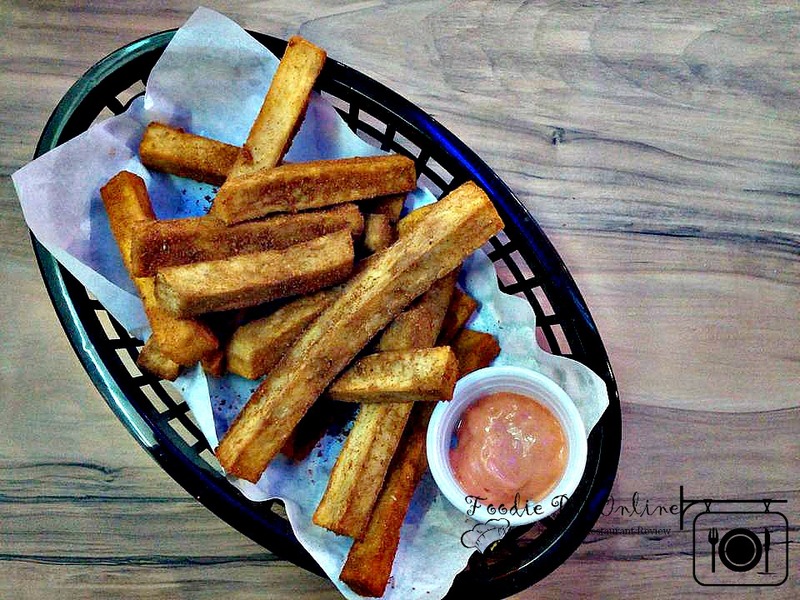 KAMOTE FRIES - the crisp deep-fried sweet potatoes. CRAB & SHRIMP ROLLS - Great seafood doesn't need a lot, but for this rolls you gonna need it! With crabs, shrimps added with vege super yummy! 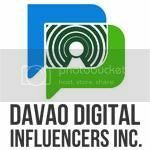 BPBCS partnered with Nestle that's why soft drinks is not available. They came up with an all-you-can-drink Mixology Bar that compliments well with the delightful flavors of Blue Posts Crabs and Shrimps dishes. 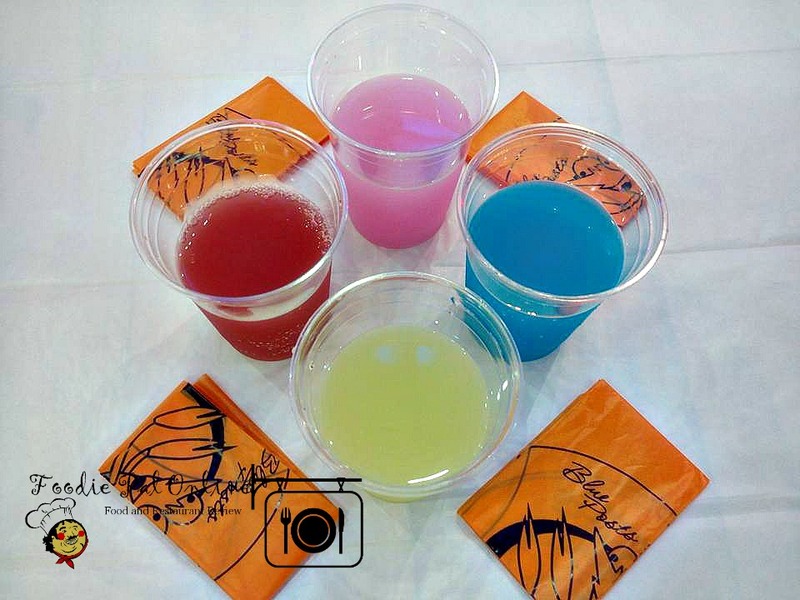 The Mixology Bar has six flavors that you can mix up and concort your own blend and repeat.,this personalized way of drinking is exclusively available at BPBCS branches. The fun and surprises doesn't stop there, as they invite us again for the VIP Launch in the afternoon. As they say, there so much crabs to crack! Preparing to feed all their VIP guests with over 350 kilos of fresh crabs and hundreds more kilos of shrimps! 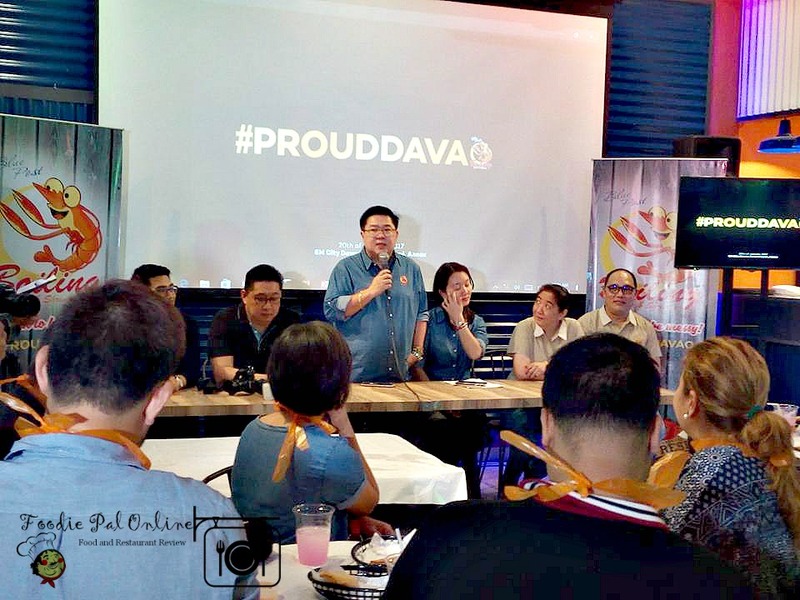 They also launch their BUCKET LISTERS LOYALTY PROGRAM, it's a loyalty reward card where in they want to give back to their loyal customers both in Davao and Manila. 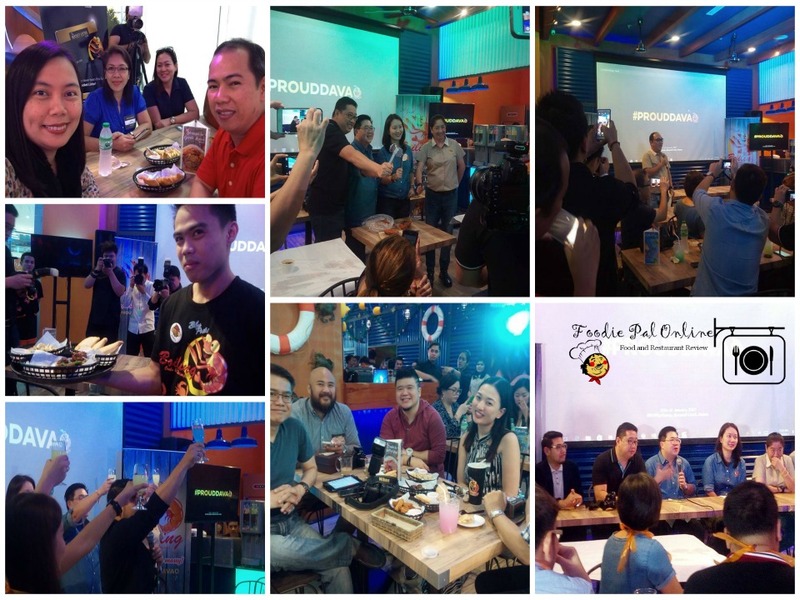 This is to create an avenue to encourage new users to experience fun, messy, and high quality sea to table seafood dining experience that Blue Posts Boiling Crabs & Shrimps can offer. 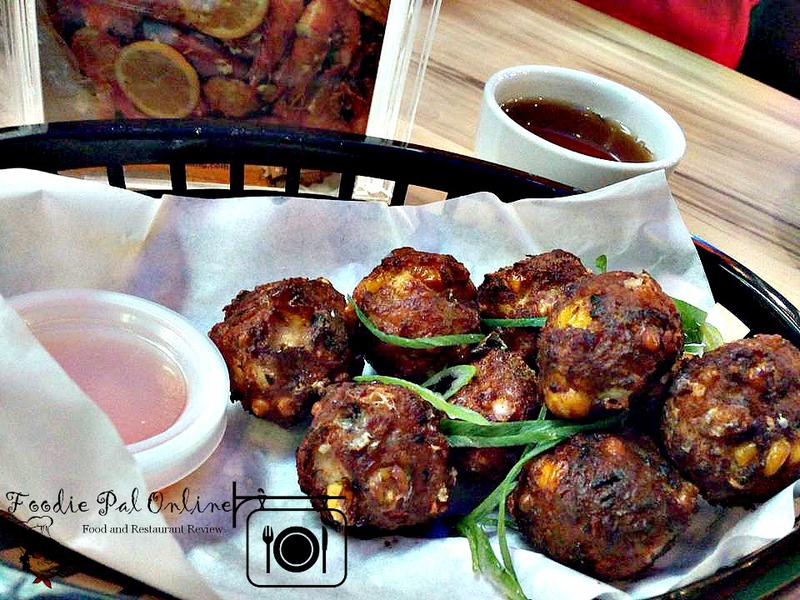 BPBCS from their small beginning in Davao as a bar to a now full-grown restaurant chain that brings sea to table freshness in the Philippines, the journey to continue to expressed and evolve their menu while retaining the core of their signature dishes, that everyone will love and to become something worth watching! Crabs with salted egg will always be my go-to dish when I'm in Singapore. 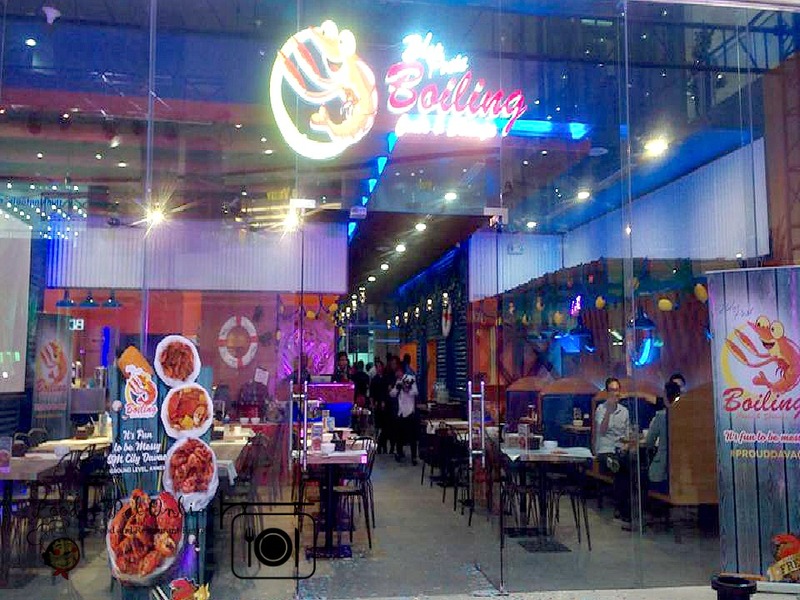 I'm glad that it's also now available in Boiling Crabs and Shrimps in Davao. Now I'm drooling! The crabs and the shrimps looks really tasty. This would be a nice eat-out place to visit. Lovely yummy food.. Would like to dine there if got chance..
Wow! Looks like a sea food lovers' paradise!!! Sadly looks like hardly any options for veggies like me though!!! The general concept of the store is quite cool. The restaurant seems to really bring out the Filipino culture in their theme. 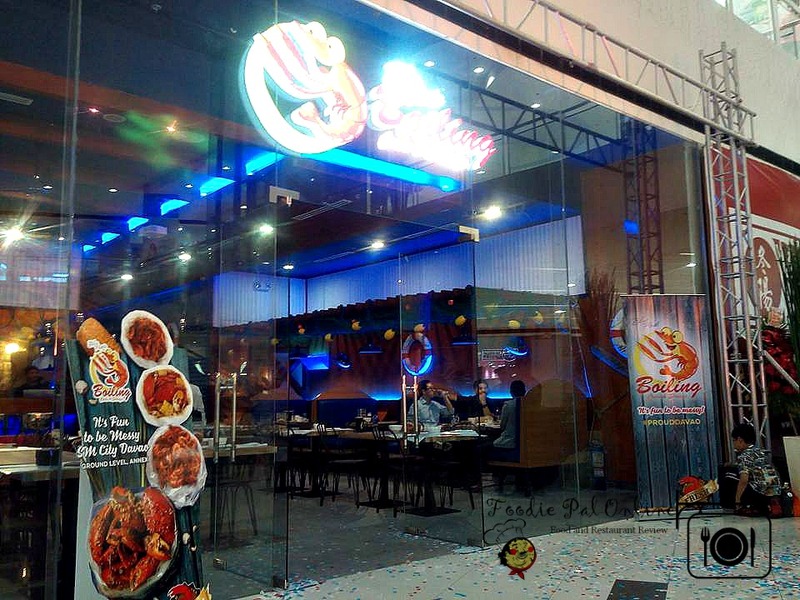 There are really a lot of seafood restaurants nowadays, such that you really need to be exceptional to stand out and succeed. Hope this one could capture its clientele and hold on to them.